I wanted to share with you all a segment of my show, Haunted Routes, where we went to spend the night at The Clown Motel, located half way between Reno and Las Vegas, Nevada. It is a clown themed motel with two suites decked to look like a circus clown nightmare. It is also (on property) right next to Tonopah Cemetery, which was decommissioned in 1911 and is a genuine haunted location. The spirits of the graveyard haunt the motel and there are stories of a shadow man that lurks on the property. Have any of you guys been here? If so have you experienced anything paranormal? If not, would you spend the night at a place like this? I'd love to know and chat about it. I would also greatly appreciate communicating with you all about the content of my show and what about it you like and don't like (especially the don't like). 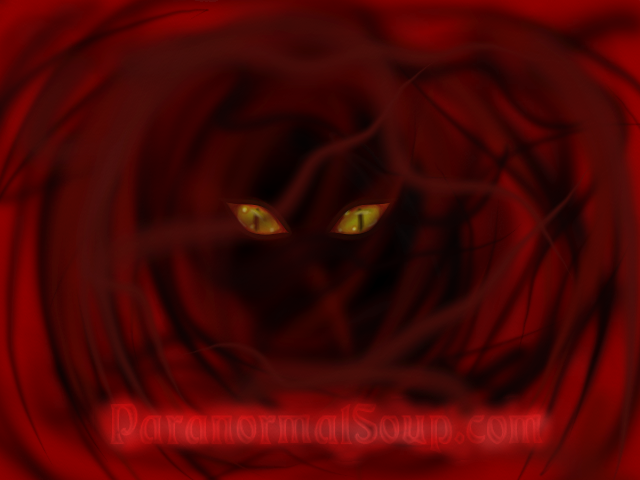 You guys are the people I'd like the show to speak to the most and it would be awesome to get to know the kind of paranormal content you would like to see in general. Edited by Sepulture, 11 May 2018 - 02:03 PM. 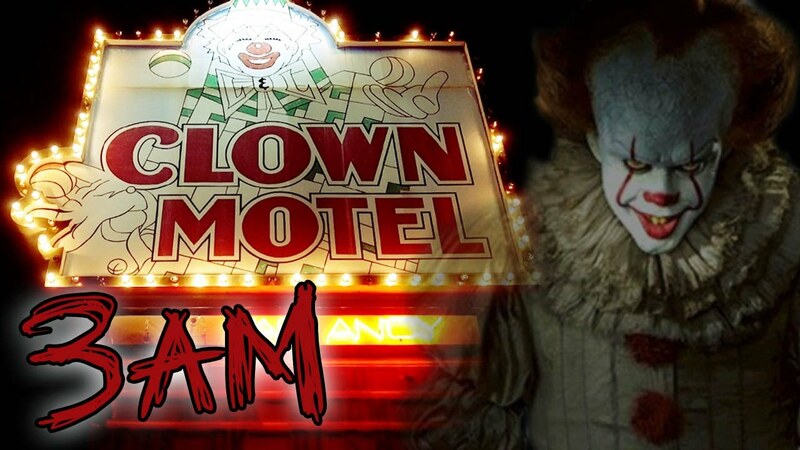 I would so stay in the clown hotel, I would gather my friends for a sleepover and not tell them where we are going, what might happen, and risk some of them to never talk to me again. But it would be worth it. Just when you think it is safe to turn over. 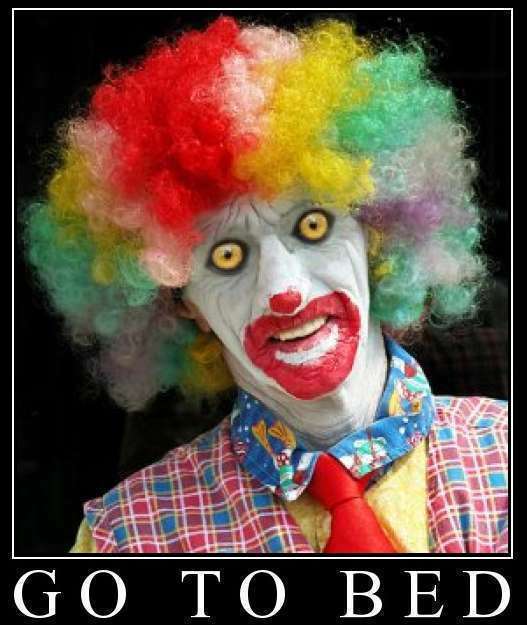 Are you waking up or just going to bed? Gee, I only get up that early to go to work! I've been up and down all night, my tail bone area hurts from sitting in my recliner. I'm feeling better today and can walk around more, so hopefully that will help. Lol, I said balloons, you were just so disturbed you missed them. 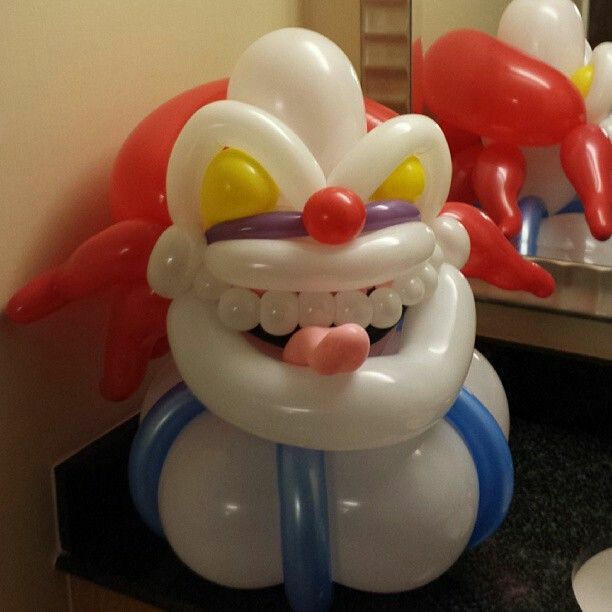 The big clown probably comes to life at night to drag unsuspecting people into the depths of hell, where demon clowns use your intestines to make crude balloon animals.